USCDU Directory Listing for U.S. Coin Gallery Inc.
U.S. 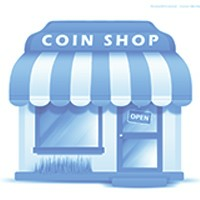 Coin Gallery Inc. is a local coin shop and bullion dealer serving the metro Detroit area and the surrounding regions. We also do nationwide coin shows. If you are a collector looking for rare coins or currency, we may have what you're looking for in our inventory. Come see us. Let us know what you need! We have been in business for more than 30 years, in the same location. Our staff is knowledgeable and has the experience that others lack. We strive to exceed the expectations of our customers on an everyday basis. The U.S. Coin Gallery is one of the very few U.S. Mint Distributors in Michigan. We offer all of the in-demand U.S. Mint products at the lowest price. Don't buy online until you give us a call. We can beat anyone's price online, plus we generally have the products you want, IN STOCK! We buy and sell Gold and Silver Bullion, Coins, Jewelry, Supplies and MORE! U.S. Coin Gallery Inc. is in Good standing with the U.S. Coin Dealers United. U.S. Coin Gallery Inc. contributes to youth programs and charities on a monthly basis. The USCDU has not received any complaints about U.S. Coin Gallery Inc.